Let’s take you to a party that’s artfully amazing. Every kid is an artist and what could be a better place other than a fun filled party environment to bring out their talents. Nicole’s Paint Party is one such art lovers dream. A paint party for birthday girl by Rachel of Rachel J. Special Events based out of Los Angles. Its a delight to watch how every nook and cranny is filled with colorful,playful paint-props and design. There’s so much of detailing to each element that gives a wow factor to it. Amongst lots of interesting things it’s really hard to pick my favorite ones. 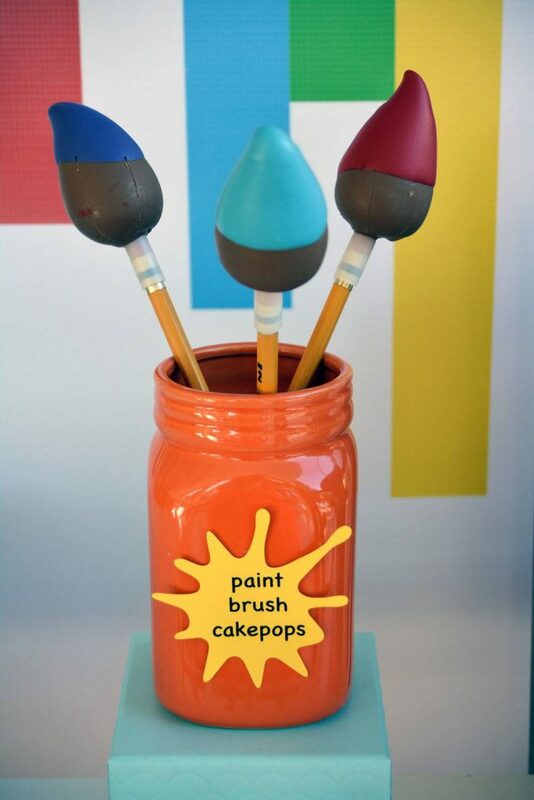 To top the list is definitely those paint brush cake pops, what an adorable idea. That amazing looking cake with dripping colors from color palette and brush on top. The color pencils and paint tubes added extra crafty edge to the cake. Loved those little letter canvas on wooden easel that spelled name of the birthday girl. 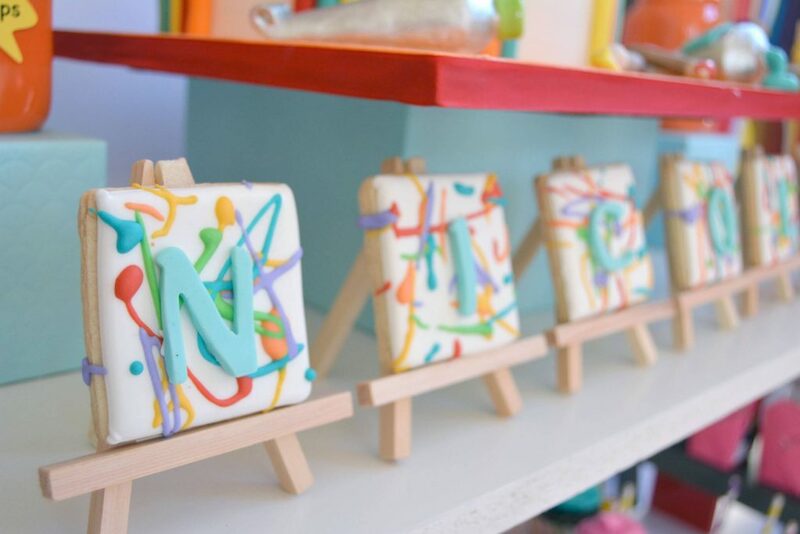 Color palette sugar cookies make such a sweet return favor gifts. Cupcakes are also looking awesome as beautiful colors filled in a palette stand. And finally the activity table, I’m sure it would have been the most fun part for the kids. 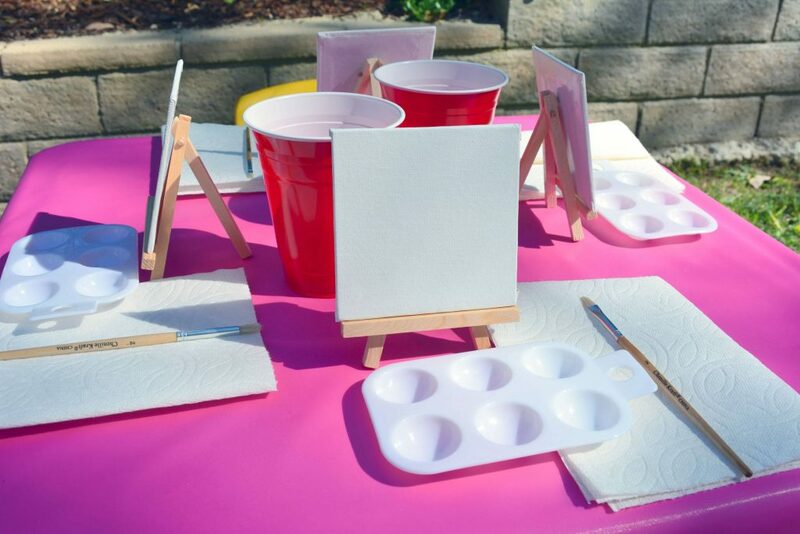 What a great way to entertain and take home your own creation. This party is full of crazy creative things that will engage all ages and put smiles on their faces. 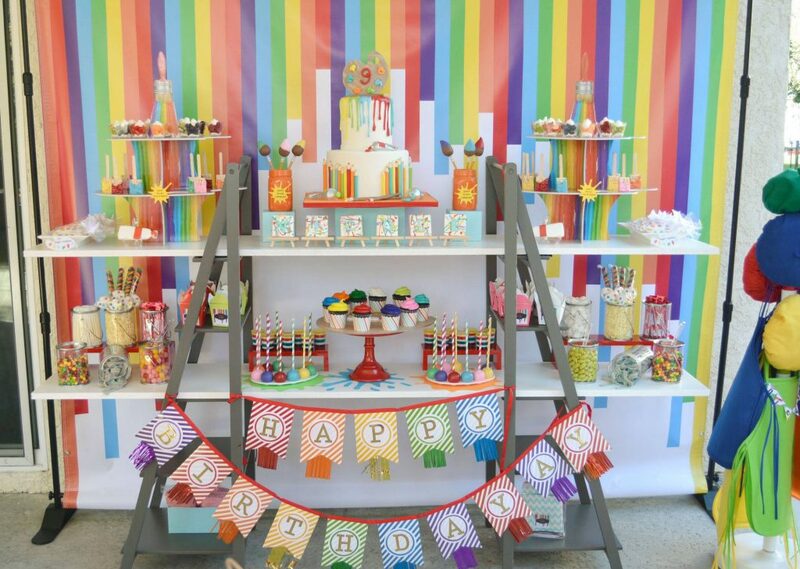 Check out details and more photos at birthday party details page.